Located at the Spaulding Ave. Industrial Complex in Rochester, NH, this GSHA member competed for funding from the state’s REF and was one of five winning proposals, out of eighteen submitted. The project was awarded a $165,000 grant in the fall of 2011, and work was completed in the fall of 2012. The grant, along with significant investment and labor from Spaulding, paid to replace the existing culvert in the tailrace with four new culverts, resulting in increased generating capacity of the existing hydroelectric system. 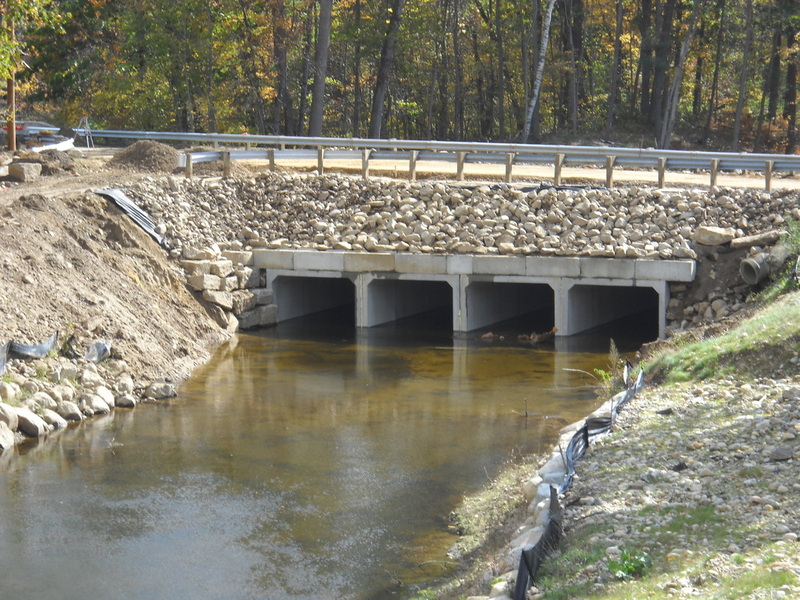 Four 9’ by 11.5’ concrete box culverts were installed in the tailrace that runs parallel to the Salmon Falls River and under Spaulding Avenue. The improvement is expected to increase the generating capacity of the Spaulding Pond Hydroelectric system from 255 kilowatts to 300 kilowatts (an 18% increase). As part of this project, the culvert investment became the property of the City of Rochester, which owns the bridge over the tailrace. The City was enthusiastic about working with Spaulding on this energy improvement project. New culvert allows water to exit the tailrace of the plant more quickly, resulting in increased generation output.